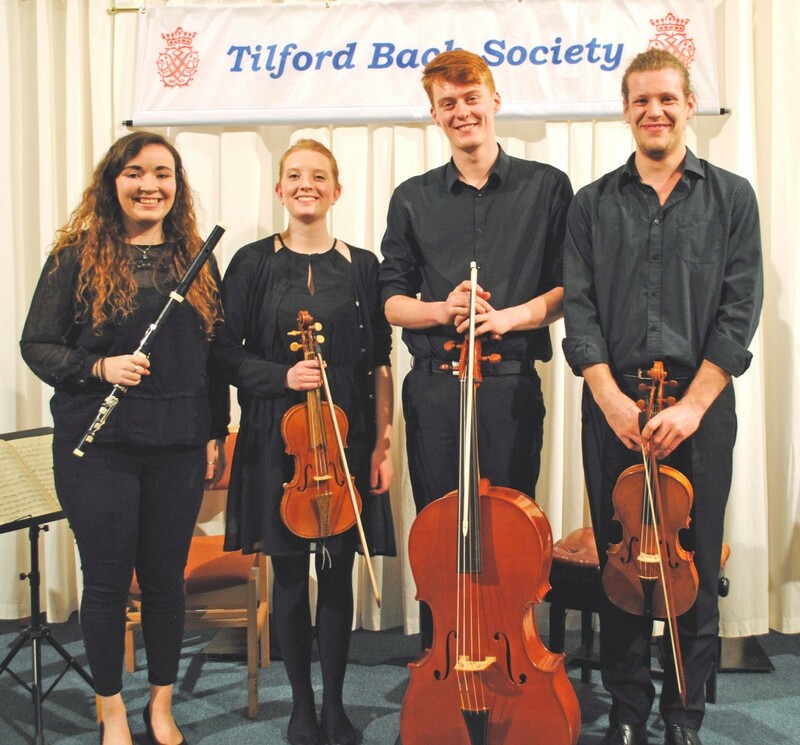 One of the most exciting and rewarding aims of the Tilford Bach Society is to give young, talented musicians opportunities for public performance. Last Friday eight scholars of the Royal College of Music, directed by Rachel Brown, Professor of Baroque Flute at the RCM, treated the audience to a delightful evening of Classical flute quartets, using instruments of the period. 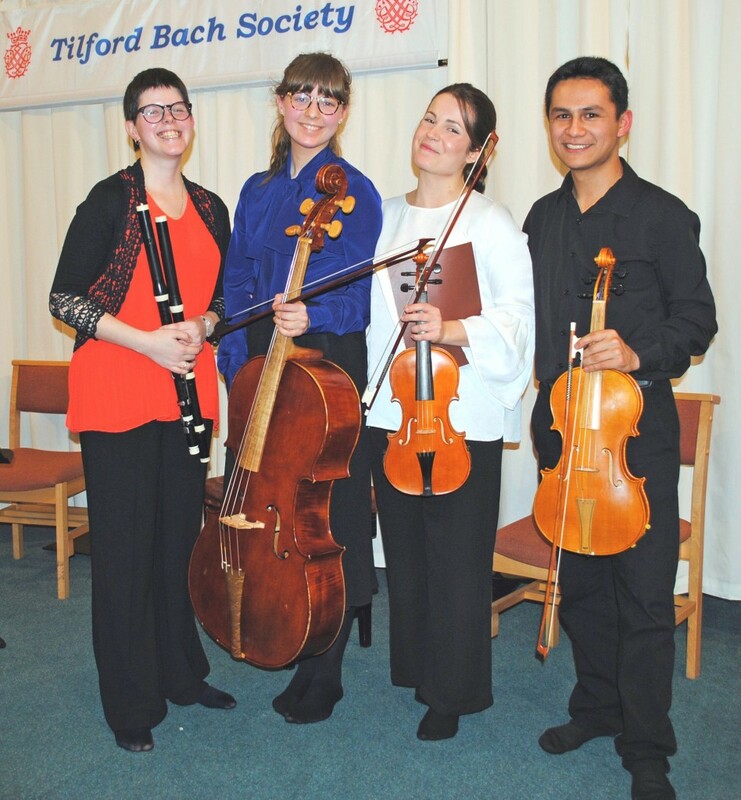 Mafalda Ramos, Ines Delgado, Gerardo Mendez and Lily Hope opened the concert with Mozart’s quartet in G which was like a breath of spring air, full of light-hearted elegance and grace. Beethoven’s Serenade in D, a trio, showed that monumental composer at his most skittish, the last movement being a glorious rustic romp. Concertina in E minor by the lesser-known Wendling gave the flautist plenty of opportunity to display her virtuosity in a last movement of breathtaking speed. Amelia Shakespeare, Gabriella Jones, Johan Hoglind and Jacob Garside took over after the interval with works by Franz Danzi and Mozart. Danzi’s Quartet in D minor verged on the Romantic style, with some exquisite dialogues between flute and violin, while the highlight of the Mozart Quartet in D was the Adagio when the strings played a pizzicato accompaniment to a sublime flute melody. The mellow, gentle tone of the period instruments and the evident enthusiasm of the young musicians, made this a concert to remember.